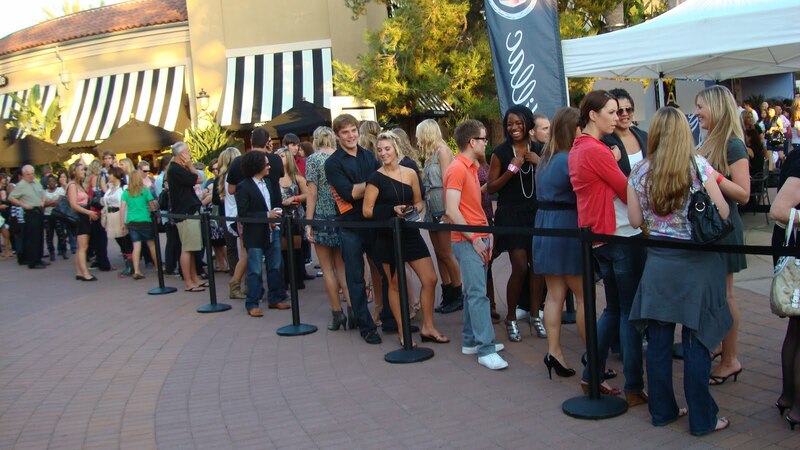 When tasked with planning a queueing system for your place of business, you may feel overwhelmed. We’re here to help. Before you even think about a strategy, you need equipment, and it’s important that you’re aware of the options before making a decision. When assisting clients with a crowd control purchase, we keep three major things in mind: budget, industry, and location. We carry a number of different economy products that are perfect for businesses concerned mainly with cost. The equipment, of course, is not made with the same quality, but the products made by manufacturers like QueueWay and Queue Solutions will certainly do the job. When people think of crowd control, most picture retractable belt barriers. That or pepper spray, but we’re not in that business. 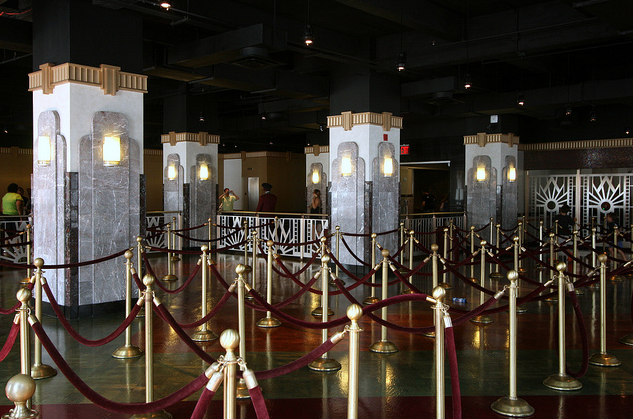 Retractable belt barriers are seen most commonly in retail locations, banks, airports, and other indoor facilities. There are plenty of ways to implement and customize retractable belt barriers, and if you think this equipment is the best fit for your business, call today, and our crowd engineers will give you more information. Post and rope systems are very common as well. As they’re a bit more elegant, you’ll likely see them more frequently in theatres, casinos, and museums, although they can be used interchangeably with retractable belt barriers, as they serve the same purpose. As with the belt barriers, post and rope systems are completely customizable with different rope makes and colors, and different post finishes. They’re also easily accessorized if you decide you’d like a sign frame or another appendage for the equipment. Wall mount systems are perfect for a business that needs a temporary crowd control setup, or prefers to use the same equipment in different parts of the same facility. Frequently used to block off construction areas, danger zones in warehouses, and other restricted areas, wall mount units are a wonderful crowd control solution, depending on your intended use. If you’re operating in an outdoor venue, such as a public park, a concert venue, or a stadium, you have plenty of different options. 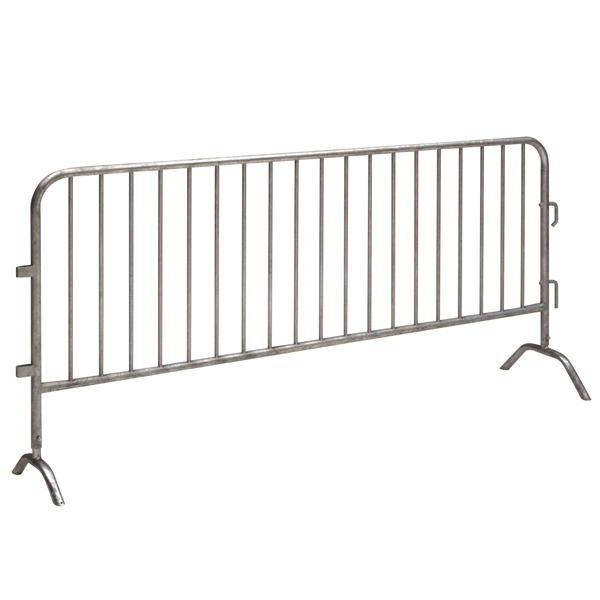 If you need something heavy duty, we suggest bike rack barricades, as these barriers clearly communicate restricted areas and mark the intended throughput without question. They’re easily connectable, so you can adjust the length of the system at any time. We also offer a number of different weatherproof retractable belt barriers and safety cones that operate efficiently outdoors. Again, what you choose is dependent on a number of specifics, and we suggest calling before making a purchase. See more outdoor equipment options here. That’s the basic breakdown. We offer other equipment as well, and if you don’t see something on the site, please don’t hesitate to call. If you have existing equipment and need replacement parts, or you’re interested in branding your crowd control, we can help with that too. Our crowd engineers are here to assist you with any line management inquiry you may have. Call 1.888. 404.7892. Just ask for Ben.